Born into an established sheep and cattle farming family on the East Coast about an hour from Gisborne, Kevin has always had an affinity with land and those who work it. Being the youngest of three by eight years, and the loss of his father at aged fifteen, meant there were some challenges to be met and some revelations throughout his life. . The early years were dairying and forest harvesting; leading to a decision that there was limited future in swapping time for money. Land was leased, lambs traded, kumara, sweetcorn and other vege crops planted. Life was exciting. Marriage and three kids followed. Kevin never forgets the feeling of walking out of the nursing home with the first child and the sudden realisation that parenthood is real; there is no manual and too much advice available from those who were never perfect parents anyway. Farming in the 80’s – fantastic, well fantastically challenging anyway. Mortgage rates shifted from 10.6% to 18 & 23%. Overdraft rates were at 27-32% and then Cyclone Bola hit. The thinking was then, as it is today with Kevin, that there is always a solution. A solution to his own family’s trials and those who wish to discuss their own. This mind set still pervades today. A thought then – Rural Real Estate could suit. This was not to be. Crops were gone and money was needed. Kevin went to work and opened a Nursery/Garden Centre where he learnt much about marketing and attracting attention to his products. This still works today – a seedling, a shrub, a tree, a large wholesale order or a farm, lifestyle or home – the process is the same. Mid/late 90’s, provincial NZ became wealthy again. Gardening was forgotten, another lesson learnt. Sell the business when it is going well. A thought – what about Rural Real Estate? Back to forest management and harvesting in remote areas. Isolation, distance and terrain meant there was a need to be prepared, planned and innovative. People management was imperative. Always a listener with a deep interest in people, Kevin became a trainer/assessor and this gave him an insight into how people think, their measure of success; finding ways to create an environment for self motivation and education. Kevin looked at his roots, his workmates and the respect New Zealanders have earned as a nation and then started studying to find out what has made New Zealanders the people we are. A hardworking, modest, gutsy and innovative people who live in a paradise. Kevin is a patriot and proud of New Zealand as a nation. Again – a thought – Rural Real Estate and, with now mid teenage children, it was time to pursue the thought. There is no progress without risk – Kevin studied the market, the best team, best brand and away he went. Number “5” in New Zealand within Harvey’s first six months, and a continual top performer. There have been some challenges and many successes along the way. Real Estate has treated him well. A three year stint with PGG Wrightson’s provided a new challenge. No market share there. From 0% to 14% in the first three months. A shift to Auckland in December 2009 created a different view of the city and districts. From his provincial parochial view he developed a respect for those who live and work in this powerhouse. Auckland is great – full of good people who wish to do business, will give a little of themselves and don’t mind others being successful. There is little room for the tall poppy syndrome here. After a brief sojourn back to forestry Kevin again studied the best brand and best team, joined Harcourts in the West City. Finally Kevin moved to Harcourts Pukekohe Rural Office – He says ‘it feels like home’. He still meets challenges with a generous smile, his eyes light up – the problem will have a solution. 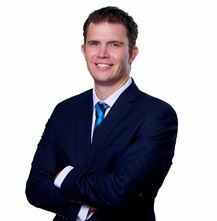 He has drive, finishing the third quarter of 2011 in the Top 20 Harcourts Agents for the Northern region. He has ambition to become the first port of call for Rural Real Estate solutions in this region. Kevin has already taken ownership of his destiny, hence the slogan “This is Kevin’s Country”. Imagine finally getting the chance to make a dream come true!! Vicky is doing that by following here passion for Real Estate. The Roose family have lived in the Pukekohe area since 1859, after immigrating 158 years ago from Cornwell in England. They didn’t just plan on coming to New Zealand, but planned to come to the fantastic new town that their old neighbour had written to them about…PUKEKOHE!! The Roose family believed it was a town of huge potential, opportunity and held a great future for them and their future families. 158 years on and 5 generations later Vicky still has a strong belief in Pukekohe and the Franklin area. With the huge growth she has seen over the past years, Vicky says "there has been, and still are, many opportunities for all sorts of property owners, whether it’s a precious family home or investment property, yet the Franklin area still retains the safe town atmosphere that first attracted my Great Great Grandfather all those years ago". Mother of four adult children and Nana to several grandchildren (the starting of the 6th generation), Vicky has a strong belief in her community, its people and its future. She has been involved in the Real Estate industry, passionately for the past 22 years. 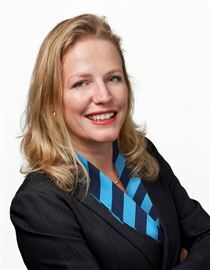 Over that time she has mastered many different roles including National Mortgagee Auction co-ordinator and also has had personal hands-on experience and knowledge of Buying and Selling, the Rental Market and Developing. Her latest role as well as Sales, is Residential Sales Manager. "Harcourts has always been my Real Estate Company of Choice. They are Market and Industry leaders, and I view them as experts in the Real Estate field". "With such a strong and dedicated team with proven selling systems supporting me, it is now time to share my passion, honesty, personal commitment to integrity, professionalism and trust, with you to help you to realise your buying and selling needs". For a team you can Trust and an outstanding service with a difference call Vicky now! Ashleigh is local, from a local family. Since starting her first job in Pukekohe, Ashleigh has always known that she wanted to continue working in the area and as she loves the town, it’s diversity and mix of age and cultures. Ashleigh has big goals and aspirations for herself and for her future. Making the most out of every opportunity, Ashleigh is constantly bettering herself in both her work and personal life. Hard-working and dedicated, Ashleigh always puts the clients’ needs first, forming a strong level of trust. This is the Harcourts way, the Company and Ashleigh’s personal values run parallel. Having worked in retail previously, Ashleigh understands and appreciates the relationships made with other people and bonds easily with them. She has an outgoing manner and a drive to succeed. She understands the needs of growing families and is committed to finding the right solution for the client. She has abundant energy and will always go the extra mile for her clients, a trait past employers have valued greatly. Ashleigh’s youth and vigor are a real asset in the changing world of real estate. Being an avid researcher and divergent thinker, she is often able to quickly gain a broad overview of clients’ needs and then put in the hours searching for the ideal buyers. 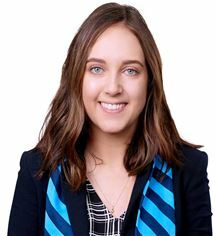 Aside from the real estate industry, Ashleigh enjoys spending time with family and this has contributed to her mature understanding of a diverse range of ages. Ashleigh is proud to work for Harcourts, New Zealand’s largest and most trusted brand in Real Estate. Bianca lives with her family in Pukekohe and is actively involved in the local community. 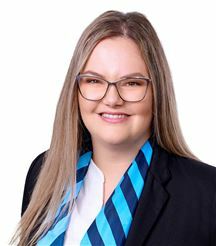 Coming from a real estate family, many often comment that she “has it in her blood” During her time in Real Estate Bianca has achieved many awards including the “Rookie of the year” in her first 12 months and more recently “Runner up Top Sales Team 2016” in Auckland. Bianca has a passion for property and this shows through when dealing with her clients. She feels an immense satisfaction in assisting people achieve their property goals. Over the past few years she has sold 37 properties with a combined value of $38.4 Million. 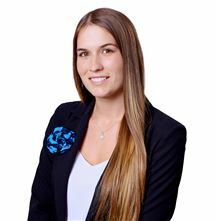 Contact Bianca Fouche today for any of your property needs. Edilene spent her early years growing up in Brazil as this was where she was born and raised. Her home is now in Pukekohe with her family and has been for nearly 10 years. The contrast of differences she has experience between her life in Brazil and Pukekohe are huge, and Edi (as she is often know as)feels that this has given her a great understanding of different cultures and lifestyles and a great appreciation of the beautiful town she now lives in. Edilene enjoys meeting and talking to people and has been in the sales environment for all of her working life. Her emotional gift of being able to relate to people on a personal and caring level has allowed her to bond easily with clients and form a solid trustworthy foundation, therefore developing a useful working partnership. When someone approached Edilene suggesting she should join the real estate industry, she saw it as an opportunity to show people what she loves about Pukekohe and the area she lives in. Edilene’s past clientele knows her integrity, honesty and reliability, are a way of life for her as she strives to do the best for others at all times in either a personal or work place environment. Edilene’s skill of listening to people ensures that she understands their needs, can actively source their wish list and if she doesn’t have it in stock she will find it! Outside of the real estate industry Edilene is passionate about dance, travel and camping with her family. With well over $75 million in settled sales, I believe that my experience, friendliness, positive "can do" attitude and genuine concern for the people I work with, are invaluable attributes for building lasting relationships with my clients. I believe prospective Vendors are looking for; •	Open, honest and clear communication •	Professional and friendly service •	To achieve the best price for their property •	To maintain control over the process. Together with my husband Marinus and sons Ton (15) & Dirk (17) we live on 12 acres in Patumahoe. Our block features bush, some paddocks and also has a Kiwi Gold orchard. I really enjoy spending time with my family skiing, playing a game of squash or horse riding at Karioitahi Beach or the Waiuku Forestry. Pukekohe & surrounds has so much on offer and Franklin is just an awesome place to live and do business. A love for this district is a true asset in the marketing of the properties within it. I believe that my professionalism, trust and honest advice are the key ingredients to achieving the best possible outcome for my clients. 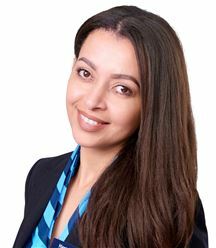 Jasmine is a local Real Estate Consultant who has a passion for family and property. 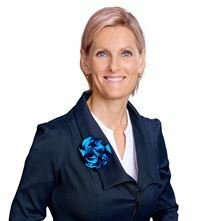 She has observed the property market closely and has extensive knowledge and appreciation for the Auckland area and the challenges it brings with it. Jasmine brings with her an ability to see the big picture, gives genuine feedback throughout the process, and has an open minded and understanding personality. If you are looking for a Real Estate Consultant that truly understands the complexities that come with buying and selling homes, believes the process is one that requires the utmost care and professional support, and goes the extra mile then look no further! Jo-Ann moved to the centre of Pukekawa over 5 years ago from the centre of Auckland and is still enamoured with everything that the area has to offer. Whilst she wants to shout from the roof tops – she also wants to keep this little paradise quiet! Moving from the centre of Auckland for a lifestyle has been a steep learning curve but one that has shown her and her family that Rural is the way to go. A friendly bunch of people you could never hope to meet. Always giving of their time and advice. Real estate has always been a passion of Jo—Ann’s whether it is from the large number of houses that she and her husband Phil have renovated through to assisting friends and family to buy and sell their homes. She has a passion for property which sounds cliché but in her case so true! 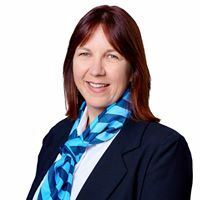 Jo-Ann has an extensive business background in corporate UK and New Zealand controlling large projects and 24/7 operations amongst other things – providing a sound backdrop for a successful career in Real Estate. 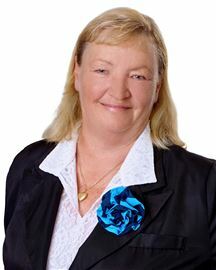 Jo-Ann will be able to utilise the knowledge gained from both and in applying it to real estate on behalf of others. She has always put people first and her number one goal is to understand clients’ needs and expectations and then to meet them. Jo-Ann has an exceptional service ethic – her emphasis has always been on putting the Customer First and her teams have grown greater as a result of her leadership. Jo-Ann has always worked in roles that have meant she has worked alongside people in one industry or another and has always been successful. The warm glow of the knowledge that she has made a difference makes her smile. 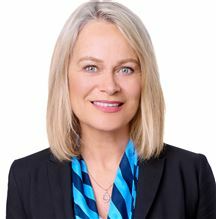 Together with the Harcourts professional lifestyle / Rural Team, Jo-Ann can harness her knowledge, enthusiasm and experience ensuring the best possible outcomes for you her client. So if commitment, negotiation skills, open communication and individual service are what you are looking for – then call her today for a free no obligation chat. 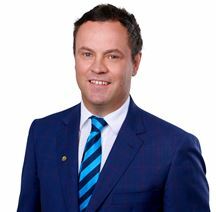 Experienced in the marketing of residential and lifestyle properties in and around Waiuku and the Awhitu Peninsula, I am dedicated to promoting the benefits of the area. The natural beauty of the bush, beaches and country lifestyle while still being within easy reach of Auckland city offer a unique lifestyle. With a teaching background, I continue to value learning and have recently completed my Branch Manager qualification. I am able to bring an extensive knowledge base to the marketing and sale of your home. I am committed to the concept of ‘service you expect from someone you can trust’ and would welcome the opportunity discuss the possible current market value of your home and to answer any questions you may have. You can only sell your home once - you want to get it right first time! On a professional level Kay is personable and works very closely with her clients, always taking time to fully understand their individual concerns and aspirations. Kay provides them with a strong, customised service based on trust, open communication, regular reporting and well-informed market advice. Strategic in her approach, Kay aims to achieve the best possible outcomes for her clients at minimal stress. Her service often includes home staging and presentation advice, which draws from her long experience in interior design and real estate. She has a particular skill in enhancing the strengths of a property in order to maximise appeal. Kay is passionate about her job and counts it a privilege to assist and support clients as they move homes and make often life-changing decisions. The client needs someone to have their back, and Kay does just that. Hard work, sound advice, eye for detail, strong negotiation skills. These are the things which consistently bring Kay outstanding results. On a personal level Kay is a proud mother of a grown up family of three. Born a fifth generation Kiwi, loved growing up on a sheep and cattle farm in the far North. Has spent more of her adult life living overseas than in New Zealand. Is absolutely loving being back in her home country, enjoying the great outdoors and the beauty that is NZ. 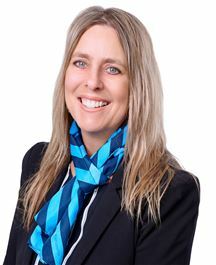 With an extensive career in sales for both large corporates and in her own successful property development business Kim has had years to finely hone her negotiation skills and loves applying them to the local property market. 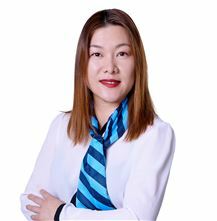 Having a passion for property from a young age Kim sees her role as a Real Estate Agent as a privilege as she is fully aware, that for many people, the process of buying or selling a home can be an overwhelming one. Therefore, she is fully focused on making the real estate journey as seamless as possible for everyone she deals with. Her ability to see the big picture and then develop an action plan to achieve the most beneficial result possible is a real asset to her clients. 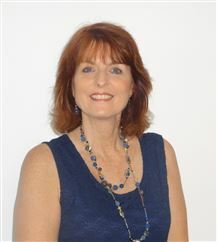 She prides herself on providing both buyers and sellers with the expertise and support they need to achieve their goals. With clients describing her as “enthusiastic, knowledgeable, professional, going above and beyond, honest, committed and caring”, Kim is a smart and secure choice when selecting an agent to achieve the very best result for YOU! So if you are looking for a Real Estate Salesperson that commits to getting the best possible result for you and understands the importance of a personalized approach then call Kim today. Kris has established herself in her Real Estate career and is excited and enthusiastic about the opportunity to market and find property for YOU. Kris is born and bred in the Franklin District so knows the area instinctively. Having not moved far from Franklin over her life the draw of the semi-rural lifestyle has always had a strong appeal. Having worked alongside her brother Possum in the Motorsport Business for over ten years Kris understands the importance of communication, commitment and professionalism so real estate was always a natural career path for Kris. She definitely is a people person who takes a caring approach to whatever she does. She understands that she is dealing with people’s largest asset and believes that empathy and patience are vital components of a trusting and happy customer relationship. Kris’ work ethic and enthusiasm will show through in her positive and “can-do” attitude. Keeping up with the latest technology is forefront in her mind and rest assured all the tools available will be used in getting the job done right first time. It’s what Kris’ philosophy is all about. Kris is a family orientated person who is proud of her two children and her grandchild. Kris’ parents moved to Pukekohe after dairy farming at Meremere all their married life. Kris’ mother is very active in the local community and that commitment to supporting local has been instilled in Kris. She will always call Franklin her home. If you are looking to buy or sell real estate and would like to work with a real estate salesperson who will commit to developing a strong working relationship with you, built of the values of honesty and integrity, call Kris today. 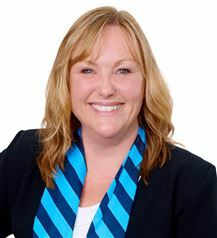 Kris is proud to be part of the Harcourts Team. She is also proud of her achievements to date being awarded Rookie of the Year and receiving bronze and silver awards in 2013. She has started 2014 off with a high, receiving the Rising Star Award, Gold award and the trophy for top Residential Sales for the first quarter of 2014, proving her commitment to get results for her clients. Call her for professional, friendly and superior service. Lynne’s aim is to always strive to achieve the best possible result for her clients and always goes the extra mile to ensure that they are kept in the loop every step of the way, thoroughly addressing any questions or concerns they may have. 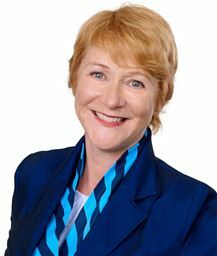 It is very important to Lynne that things are transparent and fully understood during all steps of the process Both purchasers and sellers can attest to this and Lynne would be happy to provide sellers with contacts that will confirm this, before a very important decision is made as to who will represent them and their property through the sales process. 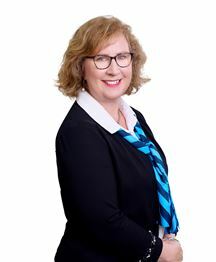 Having upwards of 17 years experience as a real estate salesperson has enabled Lynne to see that the market can be fickle, trending up and down, but one thing remains constant and that is her ability to adapt to any kind of market changes and react positively. Outside of Lynne’s real estate life she has many interests, including her menagerie of animals, motorsport of most kinds but in particular V8 supercars and Karting. She is an avid supporter of St John, Westpac Rescue and Mastiff Rescue. She and her husband of over 30 years, Shane share these interests. Lynne enjoys a good laugh and can usually make the time for a cup of tea and a conversation. When it’s time for you to make some important property decisions, let her know. She is more than ready to give you sound advice and go to work for you. I joined the Real Estate industry in 2014 as Personal Assistant to a busy lifestyle/rural agent in Pukekohe. I very quickly fell in love with the industry and developed a strong passion for helping people realise their lifestyle dreams. Joining Harcourts in 2018, I am working in a professional lifestyle/rural team environment who care about their clients. With a strong foundation of family-based values, I understand the importance of honest communication and connecting with people to fulfil their needs. Having been through the buying and selling process before on a number of occasions I know how stressful this can be – so let me do the work for you. I am a local Franklin girl so I know why this area is so very special. Whether you are upsizing or downsizing, maximising or minimising, just curious or serious, I’m here to help. “Listen with sincerity, Speak with honesty, Act with integrity”. Mingli is becoming a powerful force in Franklin real estate. Why? She has intelligence, courage and tenacity. Mingli earned her financial degree in China. China wasn’t big enough for her, with an expanding mind there was a lot more world to see and a many more opportunity to explore. Moving to New Zealand and completing her Masters in International Business opened new doors. Starting in financial management Mingli broadened her horizons into rural living. Next step was supporting family with dairy farming, from Paeroa, Keri Keri, Thames and eventually Westport. Big city to West Coast! Although she loved the farming life, with a growing family, a move back to Auckland was necessary, but country was in her veins so bought a lifestyle block at Awhitu. Mingli’s data base is as wide as her experience. From farming to investors and developers then multi-national business including international investors looking for large rural land for improvement or land banking. There are no bounds. Mingli has life experience and vision. A perfect combination. Where is the best place in the world to live? According to Mingli it’s Franklin. It’s where all of the crossroads of her life meet and where she chooses to bring up her children. If she hasn’t got it. She’ll find it. If she doesn’t know. She’ll find out. To find out what the ever resourceful Mingli can do for you. Call Mingli today. Niko knows Franklin. 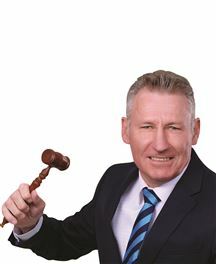 Born and raised in the area, he brings a blend of in-depth local knowledge and market insight to the Harcourts Pukekohe rural team. A member of the Franklin Local Board, Niko understands big-picture strategic planning and what it could mean for you and your property. With a background in business journalism and corporate PR, Niko can explain complex economic forces in plain English, helping you make informed decisions about real estate. His experience with a variety of rural sector clients makes him ideally equipped to work with Franklin’s farmers and growers. A father of three, Niko is an active member of the community with extensive networks. He comes from a well-known family, with his parents having a bookshop in Pukekohe for over 30 years. Trust is everything to him, and he believes quality real estate advice should incorporate “life planning”. Niko loves Franklin’s lifestyle and is excited about the area’s potential. He is your future. When I first came to New Zealand for my honeymoon in 1993, we actually spent eight days driving around in South Island and twenty-five days in Pukekohe visiting relatives. Suddenly, my wife and I fell in love with Pukekohe and we started to have a vision that we would return to settle down one day. We did this together with our two children eleven years later. This kind of commitment and “never give up attitude” has given me the confidence in choosing real estate as my career. Fortunately, I have been employed as a sales consultant by Harcourts Pukekohe in November 2006. Harcourts has a professional, high standard of training and service which supports me. The buying and selling of property to achieve the best possible results for vendors and purchasers is my biggest goal. Being born in a multi-nation country, I am able to speak and write good English, Mandarin and Malay, as well as some Chinese dialects like Cantonese, Hokkien and Hakka. When you make a decision to purchase or sell a property, my job is to make the transaction as smooth and stress free as possible. I will look forward to work with you. From an extensive history in Customer Services with a multi national consumer services organisation - Victoria joins adding to the customer centric ethos of the team. Originally from the United Kingdom she has chosen to live in New Zealand and currently lives the rural dream on a property in Waiuku. She and her dog Skylar love nothing more than long walks along the beach. Victoria also owns and rides a chestnut called Whisky who if she could find a property with land in Waiuku would be at her back door then maybe her Skylar and Whisky could all be found on the beach at Kariotahi. Her warm outgoing personality and drive to deliver on a great customer experience means that anyone who deals with her will find it a pleasure. Victoria was a keen rower and Cheerleader and as result not afraid of hard work. Her time as captain of her rowing team and cheering leading team means that she is highly organised [ she also was part of the team that achieved a GOLD medal in the World Championships held in Australia] A very driven individual couple that with her strong customer focus she is a valuable addition to the team. Great Value - Top Location! Urgent! - Vendor wants out! Get out of the Rent Trap! "Price Reduced - Must Be Sold"
SOS - Seeking New Owner! Ready & Waiting for You!! The Address is the Best! MUST Sell - Priced under CV! Hot Price - Must View Today! Have a 10% Deposit ? One way ticket to Oz bought! WOW $410,000 in the Valley! Smart buying in top location! Jazz it up on Jutland! A must view on PARKGROVE! It's priced, It's Got to Go !! Space & Privacy in Patumahoe! Just unpack and Move In!! Ready & Waiting for YOU !! It's Time to Move On !! Solid, Sunny & Selling Now! Traffic Noise - What's That? Half Packed and Ready to Go ! NOW - Not Tomorrow !